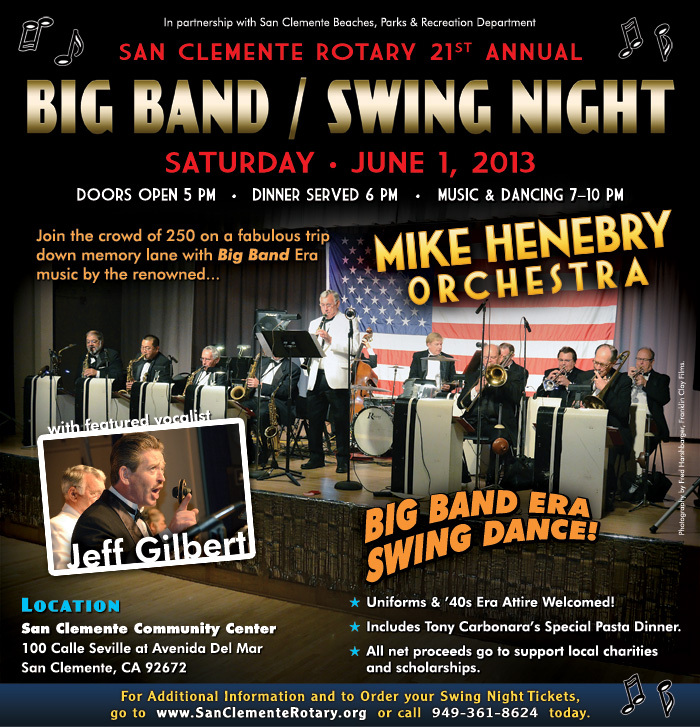 Join us at our next club meeting on Sunday, April 21, 2013 at the Press Box at Westminster Lanes (info below) for an entertaining afternoon of traditional Jazz and Swing featuring the COYOTE HILLS JAZZ BAND. Also, Band Leader Alan Shelton will be on hand to get the afternoon started with the Directors Set plus ‘open jam’ sets during the afternoon. Musicians bring your instruments and get involved! The Tailgate Room is there for you. 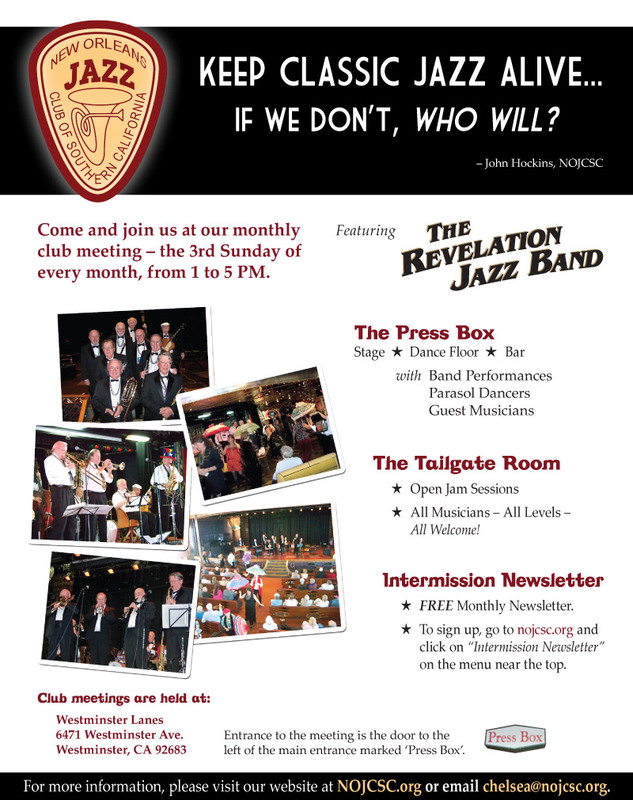 Please note: for this month’s club meeting, Revelation Classic Jazz Band will not appear at Westminster. 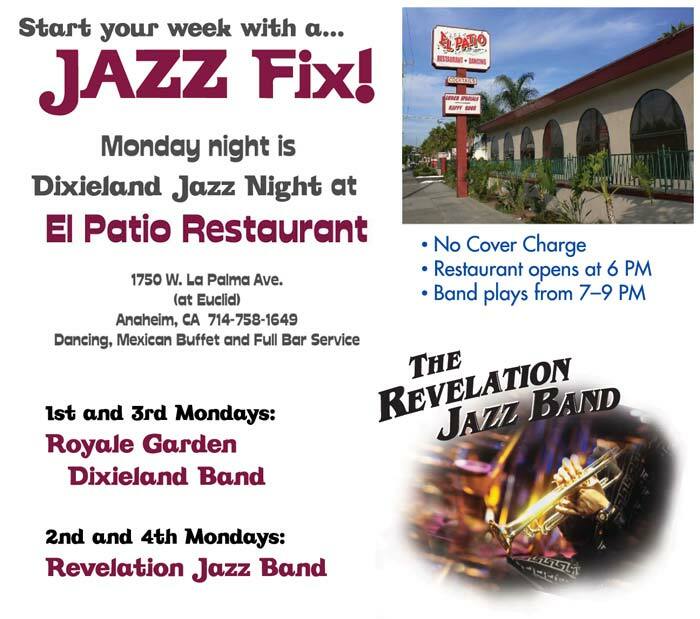 They will be playing an afternoon concert at America’s Finest City Dixieland Society (Lafayette Hotel, 2223 El Cajon Blvd, San Diego) and will return at the next club meeting on Sunday, May 19th. All the treats were a joy to behold and to eat. Thank you, Daryl, and thank you, Ladies, for making this happen! Late breaking news; this just in! Our website at nojcsc.org is undergoing a complete revision and update. Watch this space for further announcements!